The US Air Forces in Europe (USAFE) released a video of F-15 fighter jets intercepting Su-30 Russian multirole fighters near the Baltics. 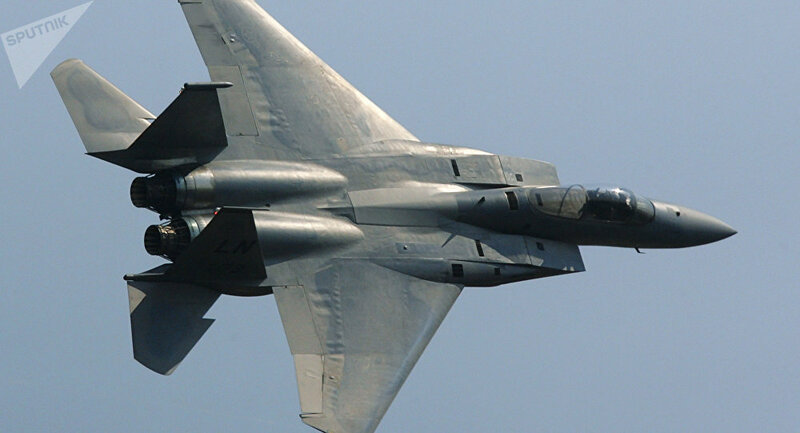 The intercepts reportedly took place in November and December 2017 and were conducted by F-15s deployed to Siauliai International Airport in Lithuania. The video consists of two clips, with one showing the F-15C Eagles aircraft scrambled to intercept the alleged Russian Navy Su-30 Flankers "in international airspace near the Baltics" on November 23. According to the USAFE, the Russian warplanes did not broadcast the appropriate codes required by air traffic control and had no flight plans on file. The second clip showed the F-15s intercepting two Su-30s on December 13. The USAFE said that "pilots from the 493rd Expeditionary Fighter Squadron executed the intercept professionally and operated in international airspace in accordance with all relevant international flight regulations and safety standards." The squadron belongs to the 48th Fighter Wing stationed at the Lakenheath airbase in the UK. 493rd Fighter Squadron commander Lieutenant Colonel Cody Blake, for his part, called intercepts "a normal part" of NATO's Baltic air policing mission. The US is due to hand over the lead in the mission to Denmark next week. The Russian Defense Ministry's Information and Communications Department said in a statement on Saturday that crews of the Russian fighters Su-30SM conducted scheduled training flights over the neutral waters of the Baltic Sea on November 23 and December 13. "The route of Russian fighter jets was agreed upon with the air logistics control units and has been carried out in strict compliance with the international rules of using the air space without violating the national borders of other countries," the statement said. It added that "during the flights, NATO F-15 jets approached the Russian fighter jets at a safe distance, after which they changed the course and flew away."